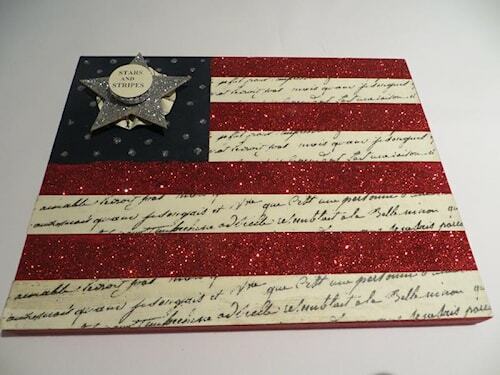 Stars and Stripes Flag Wall Hanging. 8 x 10. Four red glitter stripes and 4 white -written stripes.